School Holiday Delights in Our Market! Visit Zuma for mini piklets topped with maple syrup. These piklets are great for a snack or special treat. 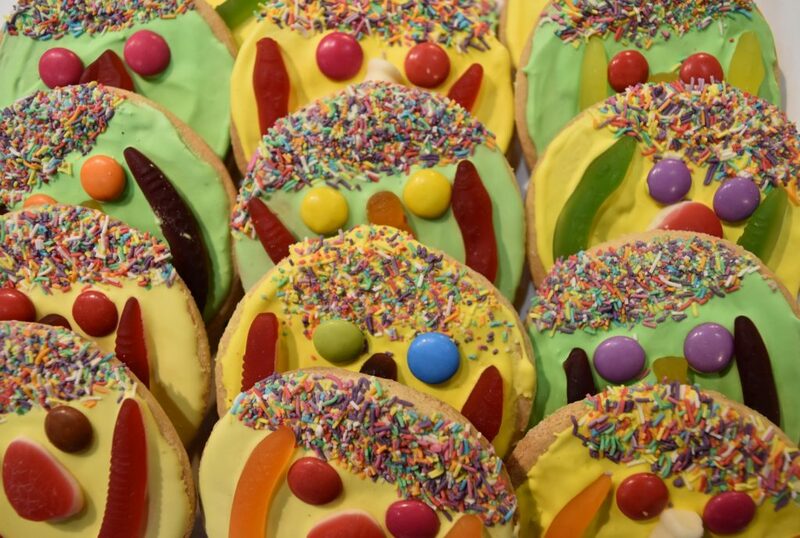 Pop past The Market Bread Bar for a childhood favourite, Smiley Face biscuits! Fill those tummies with a small yoghurt from the The Yogurt Shop. Their Greek yoghurt is made using a traditional method, handed down over three generations. Top with fruit puree for a great mid-afternoon snack! Stop for lunch at Atlas Continental for their ‘Liddle’ rolls. The perfect size for lunch! Kid sized fruit is always more fun, right? M&M’s have kid-size apples and mandarins available now! Perfect for a Market Day snack, or the road trip lunch box! Little foodies will certainly be impressed by the stunning chocolate fondue fountain that can be found on the Gouger Street entrance of our Market. Providore also have a huge array of kid-friendly sweet treats including mini muffins and biscuits. Support Aussie farmers and enjoy a delicious flavoured milk from The Fleurieu Milk. Their strawberry milk is made with 25% real strawberries and at 300ml size, they are perfect for little hands! Renowned for their delicious baked goods, the team at Bakers Delight have a range of mini treats for sticky fingers including cheesy-mite scrolls, cheese and bacon rolls and finger buns. Delight hungry tummies with a small chips from the team at Samtass Seafood – only available during the lunch time pop up for the school holidays!